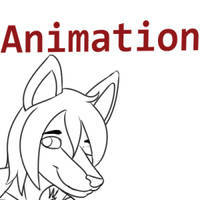 2nd monthly patreon animation woo!! Decided last month to try and experiment with the symbol animation a bit more, it went okay! It has it's benefits but I'm not the best at rigging it up yet haha, for this month I went back to hand drawn for a Great Jagras animation! That's up on me Patreon if you wanna check it out! I love the way the little belly portrudes every now and then, I love it!!!! Hopefully she gets pregnant with another, so it's twins! Well done on this one. Wonderful deal... I'll take it! is this made by spine-2d? Oooh. A ship. I like. A kink. I take. Absolutely amazing animation. Though I wonder what her recruitment methods are... does she eat the people she recruits? If so... I'd very much like to see her succeed with her attempt to recruit Saitama to join her gang, if that will ever happen in an animation, that is. 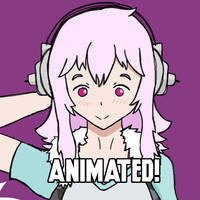 I keep repeating this over and over, but your progress with animation is astounding! Each one is more impressive than the last. What do you mean it's not canon? Wow she went there LOL! 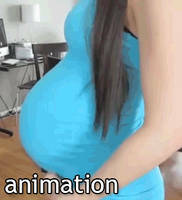 That's a D E A L.
She looks so cute as a preggers. How do I get the animation to play? Its not going. I'm not sure! 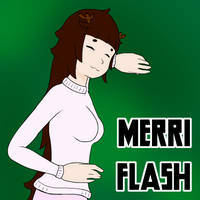 It's just a normal .gif so I don't know if maybe it's just your phone/tablet having issues! See if it plays on a desktop if you haven't already! I have gotten it to work. I had to exit the app and use a browser though. First check to make sure you have flash enabled, then if it's still not playing try right click on the mouse and then click play. 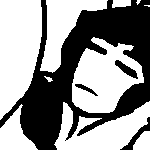 Haha, God, I love Fubuki! And that end gag! It's wonderful because Saitama might actually consider it!! Hey you gotta get those savings!! He seems so emotional for One Punch Man! Should of hit that man with them child support. What did she swallow? I wonder if she can she swallow more than that. Was she that pregnant a week ago?! Love it! Any tips on drawing animations like these?